Bax Doors Pty Ltd is based in Hornsby NSW and services Sydneys North Shore, Kuring-gai, the Northern Beaches, Hills District and Central Coast. We specialise in all types of garage doors and gates along with automation. We were established in 1964 by Norman Baxter along with his nephew Paul Norrie. Bax Doors was originally quite a large company and manufactured doors for customers and dealers all over Australia. In 1983 Bax Doors ceased the manufacturing side of the business due to our competition using cheaper materials thus providing cheaper doors. We downsized and became an authorised B&D dealer and have supplied and installed thousands of doors since. Paul had been running the business for over 40 years and has recently retired leaving his son Gus to take over. 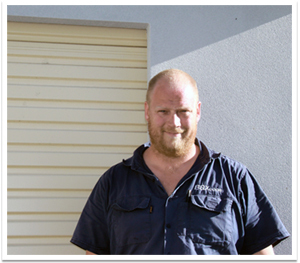 Gus has expanded the business to include the repair, installation and automation of gates and garage doors. We pride ourselves on a friendly, prompt and experienced service in all aspects your of garage door and gate needs and look forward to hearing from you to see how we may help.